This guest post by Viviane Gravey (UEA) was first published on Ideas on Europe. The European Union has an image problem. The “permissive consensus” (aka non-informed consent) that supported European integration up to the early 1990s is long gone, and the image of “the European construction” as a guarantee of peace is no longer sufficient. Even the last European Commission thought a “new narrative for Europe” was required. Of course, not all of the EU’s legitimacy problems are about its image or European citizens’ lack of information. As important (if not more) is a political debate on whether national sovereignty should be shared, as well as the benefits and drawbacks of shifting power to a supranational level. As researchers studying European policy and politics, we all make different choices about where we draw the line between raising awareness of what the EU is and what it does and taking a stand on European politics. The possibility of a referendum on British membership of the EU will make this discussion, on whether to get involved and how to do so, all the more crucial. In this post, I suggest that a first and necessary step in engaging the wider public with Europe is to think about how we teach the European Union – and how we can do it better. As a student of EU environmental policies, I have long been keen to draw insights from environmental policy studies for wider EU studies discussions. In this post I go a step further, reflecting on how an innovative teaching practice, “theoretical theatre”, developed in the School of Environmental Sciences at the University of East Anglia could be adapted to teaching EU studies. 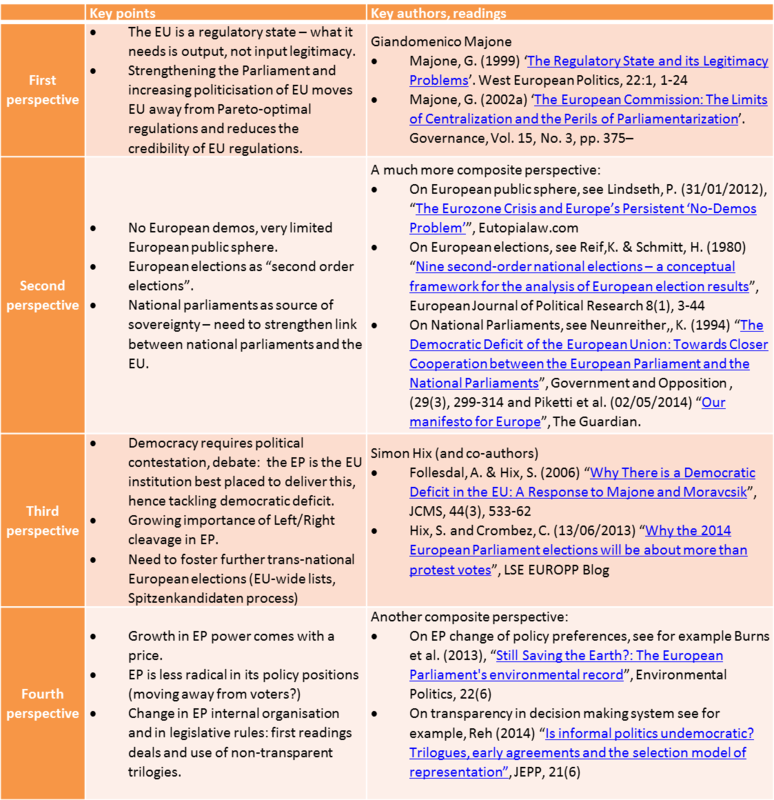 What makes the EU complex to teach? Part of the answer comes from the EU political system itself. In many European countries like the UK or France, where citizens are accustomed to a confrontational type of politics, the large number of veto players at EU level and the permeating culture of consensus is decidedly alien. Media coverage of the EU does not always help. EU citizens are often presented with a decidedly skewed account of EU policy-makingand very rarely with informative explanations of what people in Brussels – MEPs, Commissioners, ministers – actually do. Another key difficulty for teaching the EU is the need for teachers to find a balance between the history of European integration, the creation of EU policies, and the opposing theories explaining both. Teachers must find this balance while also trying to engage students in current debates on and in Europe. How to (better) teach the EU is a topic of growing interest among EU scholars – as evidenced by the 1st European Conference on Teaching and Learning Politics, International Relations and European Studies, by the UACES Student Forum seminar in November 2014 or by the section on Teaching and Learning in a recent Journal of Contemporary European Research issue. These forums are increasingly discussing innovative teaching approaches, such as greater use of simulations or harnessing the Internet for teaching purposes (see for example the Active Learning in Political Science blog). Teaching theories, a key hurdle? Out of the many difficulties encountered when teaching the EU, I suggest one of the key problems is to understand the great variety of theories mobilised to study the EU. This is an especially acute challenge when teaching students with no political science background. Applying theories for the first time – taking a step back and managing to explain the same event or issue with different “lenses” – can be pretty daunting. A few years ago, researchers in UEA’s 3S research group developed an engaging teaching approach that breaks the ice and introduces students to the use of social science theories: the theoretical theatre. In this approach, a group of lecturers each impersonate a different theory/theorist and engage in a lively debate offering different explanations of an event, or solutions to a problem. The theoretical theatre approach was first developed to expose students to different theories on sustainable consumption. The theories covered in this sustainable consumption theatre were Rational Choice Theory, Social Psychology, Social Practice Theory and Systems of Provision Theory. Each theory was impersonated by an academic who debated the best way to move toward more sustainable consumption from the perspective of their chosen theoretical perspective. For the last two years, I have helped (with my blog co-editors) bringing together another session in a module on environmental politics and policy. In our theoretical theatre, contenders debate the 1932 Kinder Scout Mass Trespass and the development of access to land rights in the UK from the perspective of Stephen Lukes’ three “faces of power”. Instead of impersonating a theory, we chose to impersonate a theorist, with “Stephen Lukes” going head to head with “Peter Bachrach” and “Robert Dahl” in a performance with an arguably smaller comedic element (although we did use 3D glasses). Both modules got very positive feedback from the students – which may partly be because the students get to see their lecturers dress rather originally to “get into character”. The different directions in which we’ve taken these modules demonstrate the flexibility of the concept – and is a sign of its adaptability to other fields. I argue EU studies could benefit from such a theatrical treatment. EU studies is a broad umbrella term for what is a very pluridisciplinary field of study that includes law, political science, history and economics – but the theoretical theatre approach should be flexible enough to be applied to a variety of fields. What would an EU theoretical theatre look like? In order to be easily understood, it would need to be clearly focused on a specific period in time and issue, with at least 2 (ideally 3 or 4) divergent theoretical readings. The theatre could serve many different purposes: it could be an introduction to competing readings of an historical period (e.g. the empty chair crisis of 1965 or the 2004 enlargement), to debates on the reasons and modality of a given process (growth in power of the European Parliament) or to a key contemporary issue such as the euro crisis. In a complex academic job market, teaching skills are becoming very important for early career researchers. The pluridisciplinarity and diversity of EU studies makes it a perfect field to experiment. The approach I presented here, the theoretical theatre, is only one of many examples of innovative teaching methods being used right now across the UK (and beyond). These methods (theoretical theatre included) may also lead to more pluridisciplinarity in teaching, not just in research. The Theoretical Theatre performance is available here.